works very well and is my best 160M antenna. 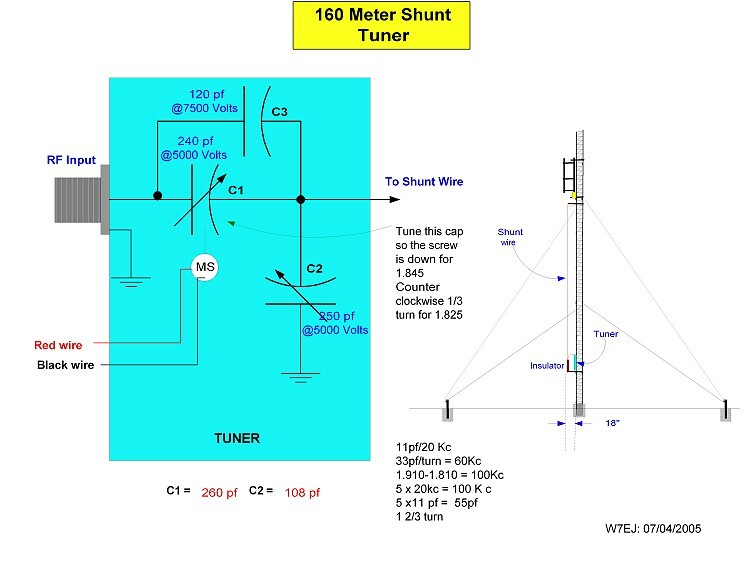 160 Meter Shunt vertical feed and tuner box on West tower. One of the capacitors is driven by a small 12 volt motor for QSYing. The 160M shunt vertical control box is the little box on the table with the up/down red buttons. 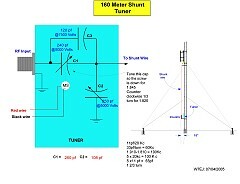 This diagram shows the 160M tuner and shunt wire. 8 turn K9YC 160M RF choke with spit #31 material toroid. The toroid is closed and this choke is at the feedpoint to keep RF out of the shack.